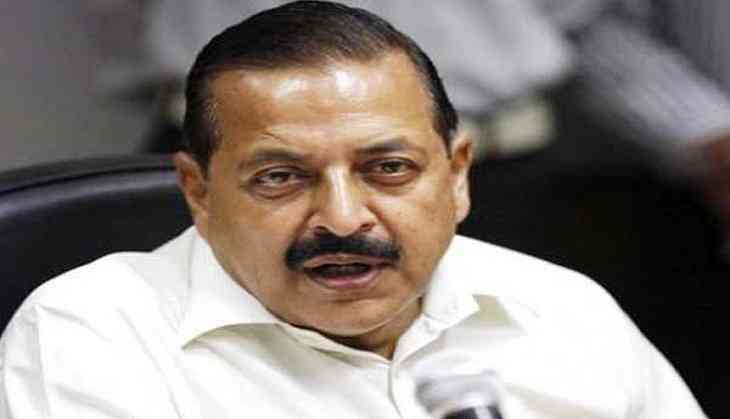 Minister of State (MoS) for Prime Minister's Office Jitendra Singh, in a blatant statement, on Tuesday asserted that the Rohingya Muslims will have to leave India. Nullifying ambiguity in the regard, Singh said that New Delhi has always maintained its stand that the Rohingya's will have to return to their land. "It is more than obvious and the home ministry has time and again reiterated that India's position as far as Rohingya sentiments are concerned is clear, they have to go back," said Singh. Singh further said that even the Rohingyas, who have illegally settled in the state of Jammu and Kashmir, will have to migrate back. "This also equally applies to the Rohingyas, who have got illegally settled in different parts of Kashmir including Jammu and Kashmir and I am sure there is no ambiguity about it," said Singh. Earlier in the day, Minister of State (MoS) Home Affairs Kiren Rijiju shunned reports of Centre cracking whip over Rohingyas Muslim in regard with their deportation and said that no other nation has accepted refugees as India. Rijiju said that India will not use force for deportation, rather will follow legal procedure in the connection. Two Rohingya Muslim refugees yesterday urged the Supreme Court to direct the central government not to deport them to Myanmar. Two Rohingya Muslim refugees, Mohammad Sallimullah and Mohammad Shakir, who had knocked the doors of the apex court in the regard, on Tuesday told the court that they would face certain death on being deported to Myanmar. The two petitioners are residing at Madanpur Khadar. Earlier, representing Sallimullah and Shakir advocate Prashant Bhushan asserted that such a move would be unconstitutional as the apex court had repeatedly ruled, as in the case of Chakma refugees, that it was the cardinal duty of the Union Government to protect refugees who leave their own country because of persecution at the hands of state authorities. Bhushan had apprised the court that approximately 40,000 Rohingya Muslims residing in India were registered with the UN High Commissioner for Refugees (UNHCR). The Rohingyas fled to India after violence in the Western Rakhine State of Myanmar.